Home LEAD Who Becomes Next VC of UNN? Nigeria’s first indigenous university is now in turmoil, as it has always been whenever it’s time to appoint a new vice-chancellor for it. 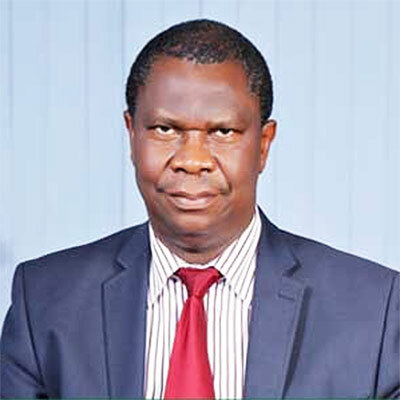 The tenure of the current VC of the University of Nigeria, Nsukka (UNN), Professor Benjamin Ozumba, (pictured above) expires in June this year. At the last count, more than 60 professors were eyeing the position. From the qualified to the over-qualified, each has been trying to build bridges across faculties — and roads to the hearts of members of the university’s Governing Council that is statutorily empowered to nominate a candidate for VC. But political considerations have almost always held the trump card: the Nigerian president approves the appointment of the VC of every federal university. This year, protest from the university’s host community has been so intense that it can hardly be ignored, if for peace to reign on the campuses of the varsity founded in 1960 “to restore the dignity of man”. Attempts in previous years to have an Nsukka-born professor in the saddle were frustrated, apparently by the influence of the then governors of Enugu State. An Nsukka son (Ifeanyi Ugwuanyi) is now the governor, but he appears not ready to meddle in the affairs of the Governing Council or play politics by lobbying Abuja as his predecessors did. In some other federal universities sited in the south-east, the politics of VC is much more acrimonious, and “indigenous” candidates almost always emerge victorious. At the Federal University of Technology, Owerri (FUTO), for instance, you dare not step forward to contest for VC or any top position if you’re not from Imo State. Even among Imo professors, fights often brew between Owerri and Orlu professors! President Muhammadu Buhari might still surprise those jostling for the UNN position. One right step he could take is acceding to the demand of Nsukka that has played the good host for nearly 60 years. Besides many qualified and competent sons of the area in UNN — one of them is the current deputy vice-chancellor (academic), Prof. Ogbonna — there are Nsukka-born academics performing wonders in universities both overseas and in other Nigerian universities. Godwin Mbamalu (Chemistry), Charlotte, N.C.
At many a convocation ceremony in the 1990s, forthright professors like Chinua Achebe decried the politics played by supposed professors in Nigerian universities, which, he said, negates all that intellectualism stands for. In his 1983 book, The Trouble with Nigeria, Achebe lists ethnicity as a major problem of the country. Also, Professor Chukwuemeka Ike, in one of his novels, Toads for Supper, depicts some professors consulting dibia for charms to enable them secure positions in universities. For the UNN VC seat, however, the choice of its occupant will eventually be made by President Buhari on the advice of education minister Adamu Adamu and other acolytes in Aso Rock. After the announcement, likely in May, the “Lions” of UNN might stop roaring.